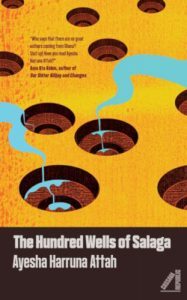 Ayesha Harruna Attah’s new novel, The Hundred Wells of Salaga, has just been published by Cassava Republic Press. She chatted to The JRB Editor Jennifer Malec about the importance of having an African publisher, how precolonial Ghana was like Game of Thrones, and the Ghanaian writers that everybody should be reading. Jennifer Malec for The JRB: First of all, let me say that I greatly enjoyed The Hundred Wells of Salaga, it’s a fantastic book, and thank you for agreeing to this interview. Ayesha Harruna Attah: Thank you for reading. The JRB: Wurche, the princess of Kpembe and one of your two main characters, is such a fascinating creation. She is intensely independent, attracted to both women and men, she shoots and rides better than her brothers and insists on a leadership role in her community, but she doesn’t hesitate to fulfil a ‘woman’s role’—marriage, pregnancy—when it is her duty. We don’t have many examples of this kind of complex femininity in fiction. What prompted you to write such a character? Ayesha Harruna Attah: As I was doing research for the book, I kept coming across fascinating women from the African continent, such as Amina Bakwa and Nana Asma’u. The former was a formidable leader of her people who was rumoured to have had many lovers, while Asma’u, as the daughter of a famous sheikh, was extremely religious and yet one of the most prolific writers and translators in precolonial Nigeria. Both women were layered and couldn’t be described as just one thing, which made me wonder why school had skipped over them. These three-dimensional women became the muses for Wurche. The JRB: Through the characters of Aminah, who is captured into slavery, and Moro, who captures slaves, we get a view into the human face of slavery in West Africa in the eighteen-nineties. What was it about these stories that made them important to you to tell? Ayesha Harruna Attah: My own education focused mainly on the transatlantic slave trade, so when I heard that my great-great-grandmother had been enslaved by someone with the same skin colour as hers, it came as a shock to me. I wrote this book to explore what slavery in West Africa could have looked like, and as a way to start the conversation about the roles Africans played in a system that existed even before the first Europeans set foot here. The JRB: Aminah’s story is based on that of your great-great-grandmother, who as you say was enslaved and sent to the Salaga market. How did this affect your writing of the character? Ayesha Harruna Attah: I had to tell as true a story as possible, because there’s no way slavery can be sugar-coated. It didn’t stop me from feeling protective of her, because she wasn’t just an imagined character. Some of the feedback I’ve received from readers is that the characters were treated with lots of dignity, so I’m glad I was able to at least grant her that. The JRB: The story of Issa, Aminah’s younger brother, was heartbreaking, but also incredibly subtle. The line ‘his small hands dropping seeds faster than everyone else’ is the only time we get a glimpse of his personality coming into its own, making the brevity of his story all the more powerful. Was it difficult to exercise this restraint when writing about human tragedy? Ayesha Harruna Attah: The restraint you speak of probably comes about in editing, and I worked with an amazing editorial team at Cassava Republic Press, who helped me think through every single line of the book. My process often involves writing as expansive a first draft as possible. These drafts, which almost no one sees, have emotions and stories dripping with melodrama. They are a veritable mess. It’s during the editing phase that I begin to rewrite and to decide how to even tell stories such as Issa’s. The JRB: You have some great proverbs in the book, for example when describing a slave inspector as having ‘the walk of someone who’d been given a small spoon of power and treated it as if it were a barrel’, or when explaining why men don’t get pregnant: ‘The old lady said it was because Allah created women to be stronger inside, while men were stronger outside.’ Where did these snippets of language come from? Ayesha Harruna Attah: Thank you. I am always observing other peoples’ turns of phrase or eavesdropping on conversations. It’s other people that feed me with this kind of language. The JRB: You visited Salaga in the course of your research for the book. Can you tell us a bit about your trip, and what you learnt? Ayesha Harruna Attah: I went to Salaga in December 2012, hoping to meet family who could talk to me about our shared ancestor. I arrived early one dusty morning and met an uncle, who immediately showed me the slave market, the sites of the wells whose water was used to wash enslaved people, and the run-down slave museum, which houses shackles and the guns used for slave raids. Every time I brought up the woman who was called the slave, I was met with silence. 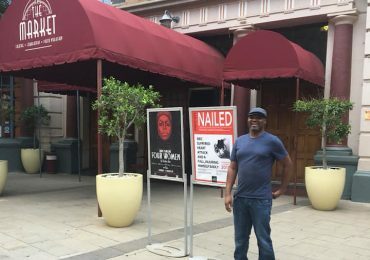 At first, I bristled at not getting what I’d come there for, but in the end merely standing in the slave market would provide me with more than enough information for writing Aminah’s story. The JRB: What other kinds of research did you do for the novel? Did you discover anything that surprised you in your reading? Ayesha Harruna Attah: I spent hours in the University of Ghana library and the Schomburg Center for Research in Black Culture in Harlem, reading everything I could about precolonial Ghana, specifically in the eighteen-nineties. One of the gems I came across was The Salaga Papers by Marion Johnson, which compiled letters, correspondence and the travel accounts of visitors to Salaga in the eighteen-hundreds. So many things surprised me, for instance the fact that there were female teachers who taught other women through poetry—something I bring into the book. 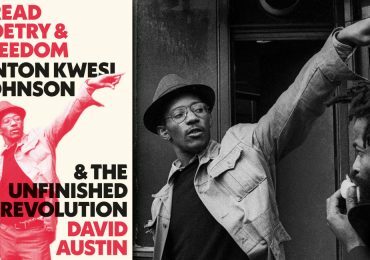 The JRB: You are part of a new wave of African historical fiction, with books like Dust, Little Suns, Homegoing, Dancing the Death Drill, Kintu, House of Stone, Petina Gappah’s forthcoming book on the final journey of David Livingstone—the list goes on and on. What do you make of this burgeoning movement? Ayesha Harruna Attah: I recently read House of Stone and I love that book. As a reader, I can’t wait to get my hands on these titles you mention. As a writer, there’s so much I don’t know about myself and where my people come from, that writing historical fiction is a way of fighting that rootlessness and searching for what we lost when we suffered invasions on every front: physical, religious, cultural, and so on. 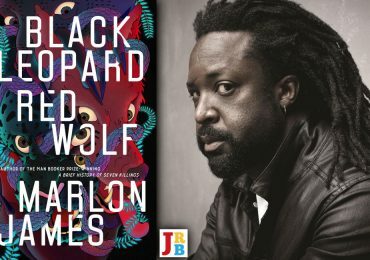 The JRB: You’ve said it was important to you to have an African publisher for your third book, and asked your agent to approach Cassava Republic Press. Why was this important to you? Ayesha Harruna Attah: There were nuances involved in writing about precolonial West Africa that an outsider would have missed, that Cassava Republic Press founder Bibi Bakare-Yusuf and her team got. Nothing was lost on them—not even species of birds that couldn’t be found in West Africa! Also, the fact that Cassava Republic is making sure that my book is on bookshelves all across the continent means everything to me. 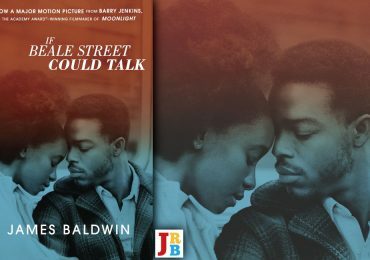 The JRB: You’ve spoken about how you started writing because of Toni Morrison; being able to see yourself in her books. Do you view your position as a writer in a similar way? Ayesha Harruna Attah: I hope I am able to inspire a thirteen-year-old African girl, the way Morrison inspired me. I loved the way she wrote, her fierceness! I want young African readers to find characters they identify with and I want young writers to feel like this is something they can do. The JRB: I read that before you wrote The Hundred Wells of Salaga you were trying to write a Game of Thrones-type novel, which didn’t work out. I can see echoes of that in Salaga, I think. Ayesha Harruna Attah: The struggle for power in Salaga lent itself to a Game of Thrones kind of treatment, because there was one skin—as thrones in the northern part of Ghana are called—and there were three families fighting for it. The stories that came from this war were fantastic. There were poisonings, treacheries, even rumours of people turning into crocodiles. As a fantasy book, it would have been a wild ride, but for some reason it decided it had to be told in realistic fiction. The JRB: Ayi Kwei Armah, a writer I greatly admire, is one of your first readers, as you mention at the back of the book, and I believe you work together in the Per Ankh African Publishing Cooperative. Can you tell us a little more about this programme? Ayesha Harruna Attah: The Per Ankh Cooperative is a group of friends who come together to publish African history, literature and philosophy. From 2006 to 2008, they ran a writing workshop, Per Sesh, coordinated by Ayi Kwei Armah, for young writers to conceive and develop novel-length manuscripts. That is how I wrote my first novel. The JRB: I believe Ayi Kwei Armah is also a mentor of yours. What kind of advice did he give you while you were writing Salaga, now that you are something of an established writer? Ayesha Harruna Attah: He read some early chapters. And me being something of an established writer made no difference! He didn’t mince words when a sentence was badly written. The JRB: You have lived in Senegal for a number of years, having moved there to work on an interesting translation project. Is that still ongoing? Can you tell us a little about it and how it’s progressing? Ayesha Harruna Attah: The translation project is still ongoing—it is a group within Per Ankh that meets virtually every Sunday to learn hieroglyphics and translate ancient African texts. Three texts have already been published: Sanhat, Smi n Skhty Pn, and Skhmkht Ea: On Love Divine. Although, I have recently taken a back seat to better balance taking care of a toddler, releasing The Hundred Wells of Salaga, and doing my own writing. The JRB: What is the literary scene like in Senegal? Do you attend any events or can you tell us a little about what’s being published? Ayesha Harruna Attah: I have become a bit of a hermit, and unfortunately don’t do that many events these days. There’s a bilingual publishing house called Amalion Publishing releasing exciting titles. Daraja Press also publishes beautiful children’s books. And I also have to shout-out the amazing English language bookstore in Dakar, Chez Alpha Books, who will be launching The Hundred Wells of Salaga in Senegal. 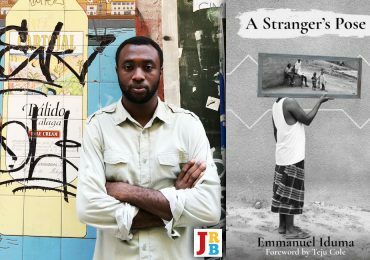 The JRB: Do you still keep in touch with the Ghanaian literary scene? Are there any new Ghanaian authors that we should be looking out for? Ayesha Harruna Attah: I am probably closer to the literary scene in Ghana than I am to that of Senegal, which might just be a question of language. These are some exciting literary projects: The Writers Project of Ghana, Afridiaspora, the Ghana Association of Writers, DAkpabli, The Golden Baobab Project, the Accra International Book Festival, and Ghana Must Read. In terms of new authors, I think Ghanaian writers aren’t put in the spotlight enough, so everyone needs to read Nana Ekua Brew-Hammond, Mohammed Naseehu Ali, Nii Ayikwei Parkes, Ruby Yayra Goka, Boakyewaa Glover, Nana Awere Damoah, Kofi Akpabli, Alba Kunado Sumprim. The JRB: Some great recommendations there, thank you. We published some of Nii Ayikwei Parkes’s poetry in a recent issue of The JRB. I believe you are working on a book of non-fiction, about the importance and significance of the kola nut in West African history. Can you tell us a bit about this book? Ayesha Harruna Attah: I am calling the book The Beast now, because I’ve almost finished a messy first draft of it—made possible through a Miles Morland Foundation scholarship—but it needs serious surgery. It is part travelogue, part historical non-fiction, part family diary. It examines why the kola nut is so important in the history of West Africa and her diaspora, and the journey of transformation it goes through once it leaves West African shores.